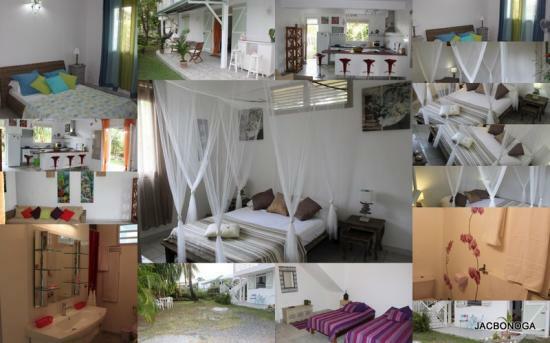 We offer to the rent, a nice and beautiful garden apartment, entirely new (house and furniture), to 5 mn of the city of "Le Moule", and the beach to 1,5 km. 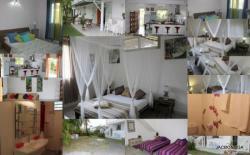 You will got 3 spacious bedrooms, bathroom, kitchen américan style, covered terrace with garden. Wi-Fi, fire alarm, fan in each room. The first breakfast offer, a funny way to start yours holidays, and drink of departure too ! !